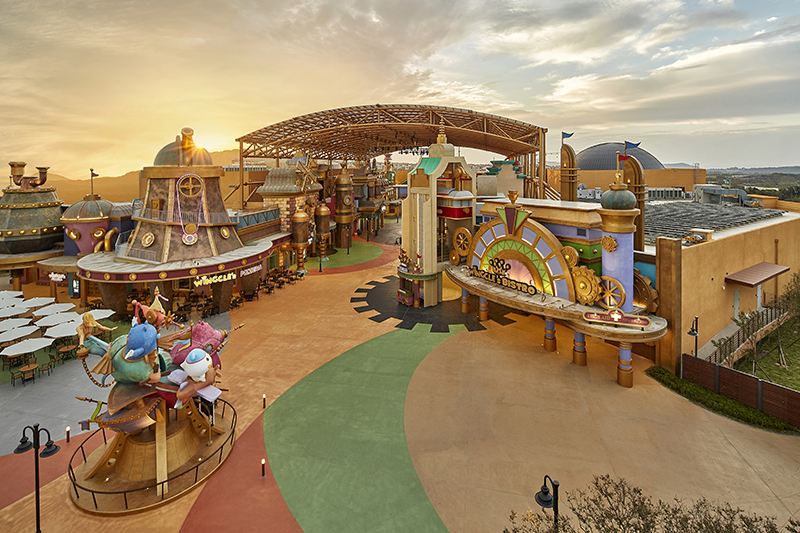 Jeju Shinhwa World Theme Park will hold various promotions during the month of April. The discounts will be for people who wear pink, have birthdays in April, are making a return visit, and students who share photos on social media. Adults will receive a discount of 10,000 won meaning a ticket will cost 29,000 won, while children will receive a 7,000 won discount meaning tickets will cost 22,000 won. As well as the discount, customers who have a birthday during April will receive an additional voucher worth 5,000 won which can be used at Shinhwa Theme Park food services or shops. To prove your birthday you need to show a document such as your ID card or medical insurance card. Returning customers wanting to receive a discount need to show a photo taken from the last time they visited the Shinhwa Theme Park. The discount for sharing a photo on social media is limited to students between the ages of 8 and 19. The discount can be received immediately by uploading a photo with the hashtags #Jejushinhwaworld, #Shinhwathemepark, #제주신화월드, #신화테마파크 to your social media profile after taking pictures at Shinhwa Theme Park. For more information on the packages and events of Jeju Shinhwa World, please check the official website (www.shinhwaworld.com).